1337motif Mega Man cutting board, 1Up Gallery Nintendo controller crayon set, Bombastitch framed cross stitch pieces, Green Bird Press letterpressed cards (and we have many more), fun new games for your kids by Jean Elise Designs, Nintendo controller zipper pouch by 1Up Gallery, and magnets by Mark Shirar. Welcome to the last week in July (already?!). 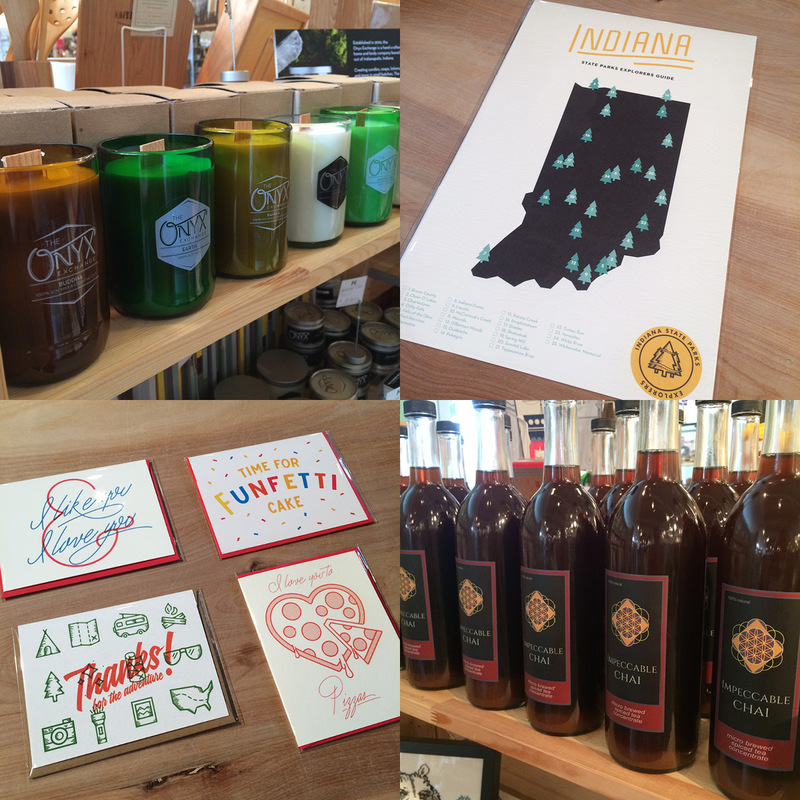 Re-stock of wine bottle candles from The Onyx Exchange, Indiana State Parks print (check them off as you visit them!) by Ello There, new cards also from Ello There, and re-stock on the always popular and extremely delicious Impeccable Chai from SoBro Cafe. 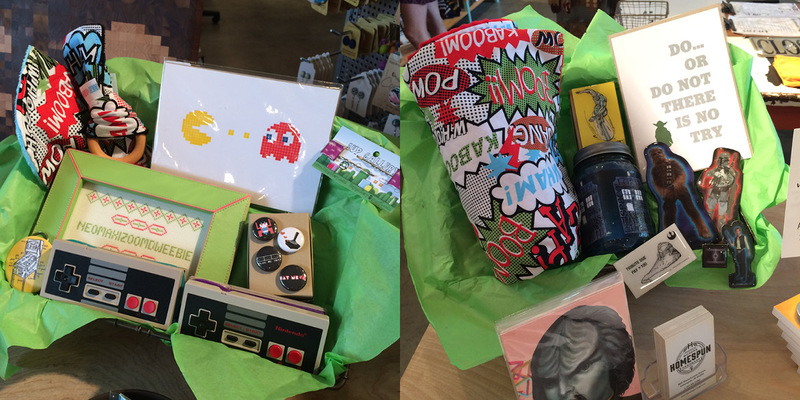 We’ve got some great new gift sets in the shop all ready for this weekend’s Gen Con! PLUS if you visit the store in costume, we’ll give you a 15% discount on your purchase. Also this Saturday is the Indy Criterium! 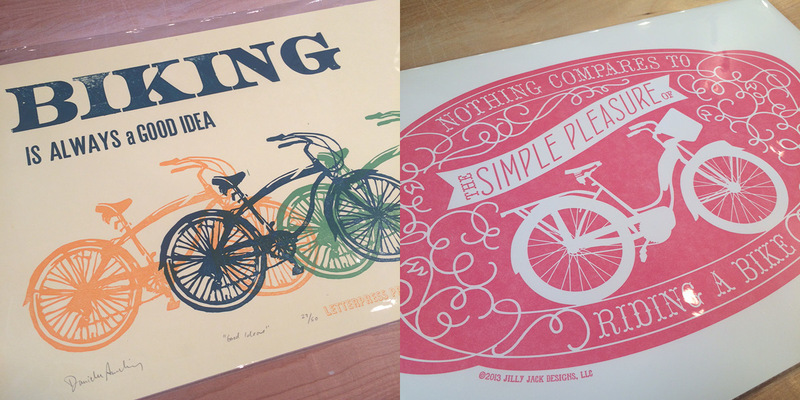 We have so much great bike stuff, including these great prints by Iron Leaf Press and Jilly Jack Designs. 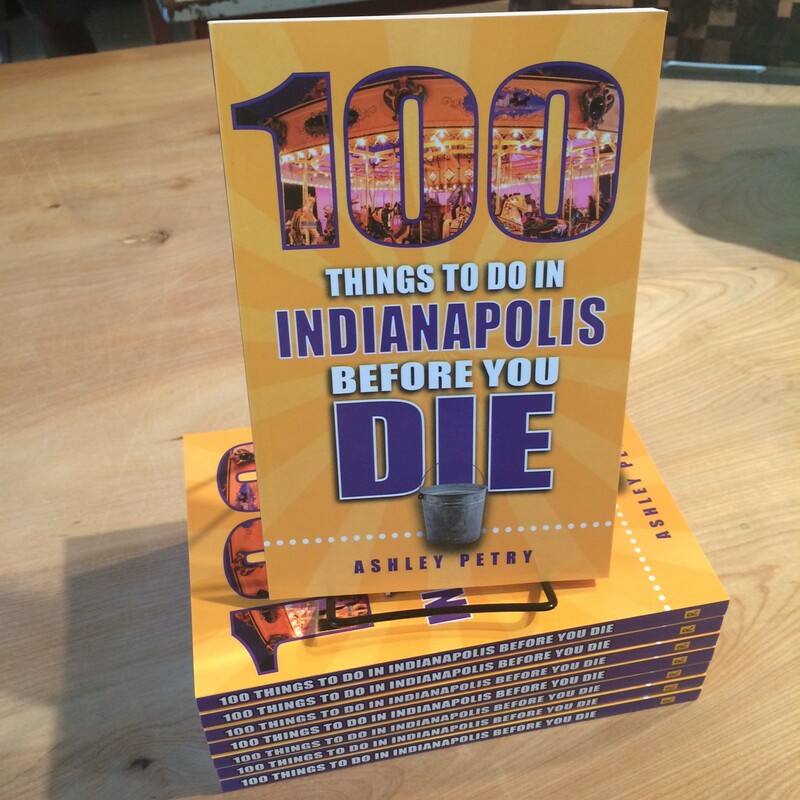 Saturday, August 1st from 11:30am- 2pm we will have author Ashley Petry in the store to do a book signing for her recent book 100 Things to do in Indianapolis Before You Die. Green Laundry: Saturday, August 15th: Want to clean green while saving some green? Making your own laundry supplies is not only cheaper and better for the environment, but healthier for you and your skin. Many store-bought brands are loaded with chemicals and toxins, some of which have nothing to do with the cleansing process. Besides saving sensitive skin, many DIY laundry recipes actually clean clothes better! Learn more and sign up by clicking the link. 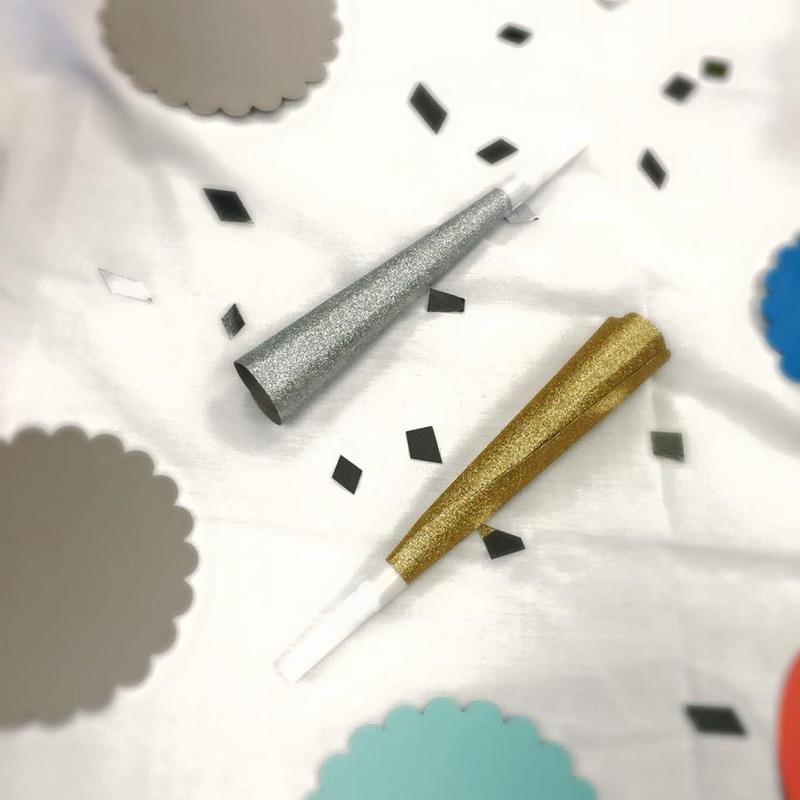 Candle Maker Pop-Up Bar: Saturday, August 29th: Join the Onyx Exchange for an afternoon of candle making at Homespun! Mark your calendars and stop in to make your very own 7oz. 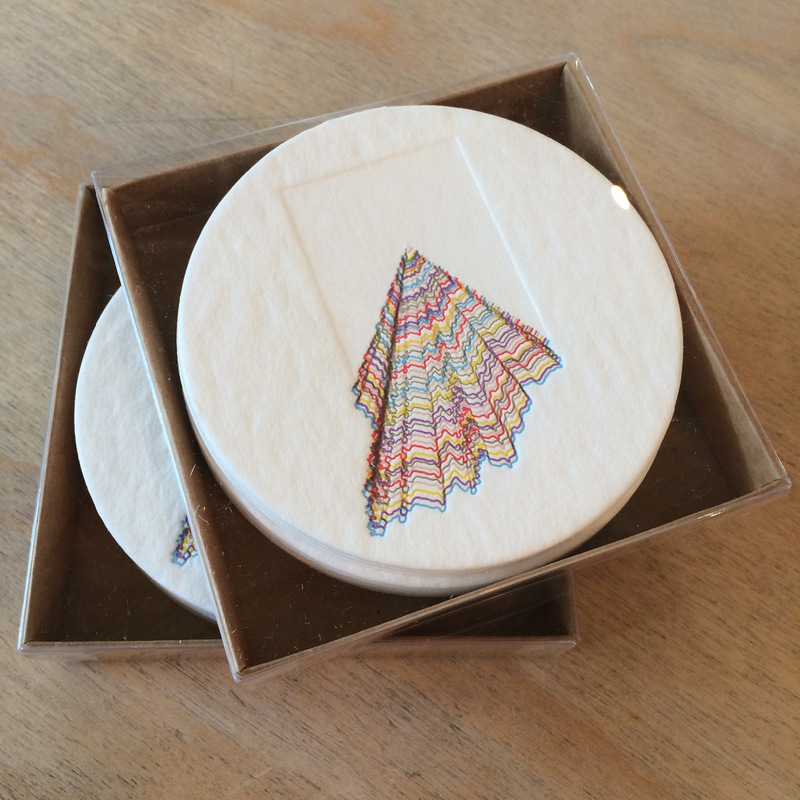 Lux candle or 10oz. Wine Bottle Candle. Mix your own scents (36 to choose from!) and create a one-of-a-kind candle! Wire Wrapping Basics: Saturday, August 29th: Have you ever wanted to go on a gem hunt? Well, here is your chance! Rana Salame Striedinger of Salame Jewelry Designs is opening her treasure chest of gemstones for you to peruse and select from to create your own one-of-a-kind jewelry. Students will learn several wire wrapping and jewelry assembly techniques to create two unique items – students can choose to make a pair of earrings and a necklace, two pairs of earrings, or two necklaces. Hey ya’ll! Hope you’ll have a chance to take a stroll down the Cultural Trail and visit us now that it has finally stopped raining for 2 minutes. 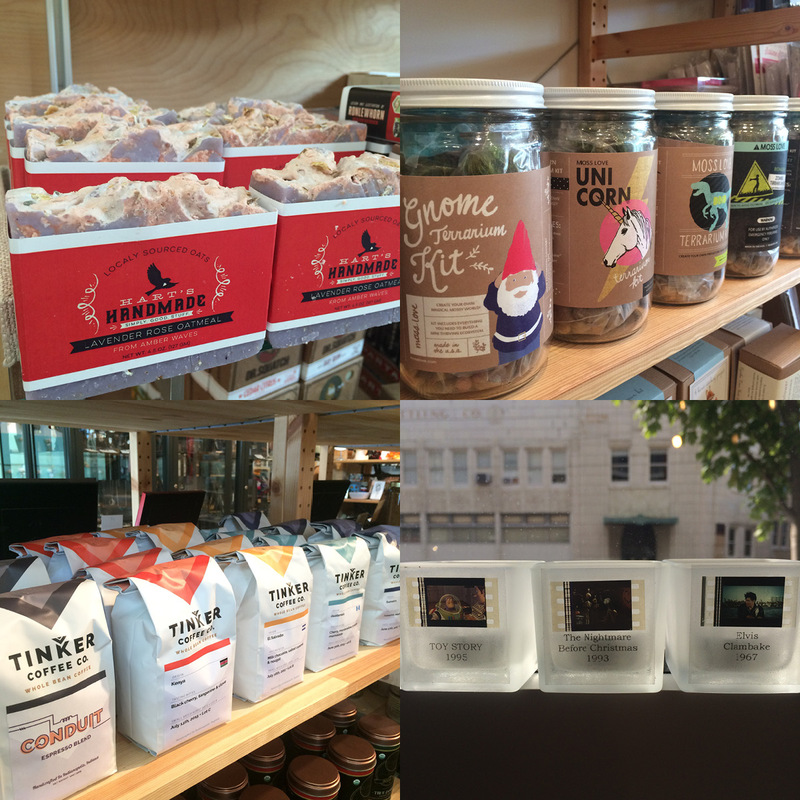 Lavender Rose Oatmeal soap from Hart’s Handmade, new Terrarium Kits from Moss Love, re-stock from Tinker Coffee Co., and new Actual Film Cell Votive candles including Nightmare Before Christmas, Toy Story, Elvis and more! 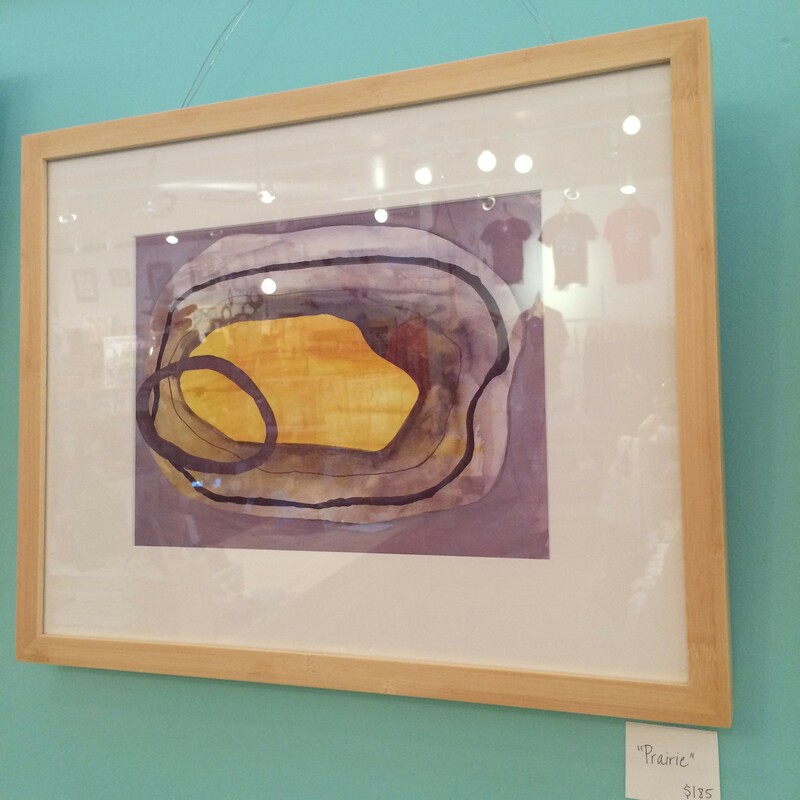 As pieces from Priya Wittman’s current show “Nothing More, Nothing Less” sell, they are replaced with new beauties, like this one entitled “Prairie.” Her work will be on view through July. Spiffy merchandising work found above our dressing room. 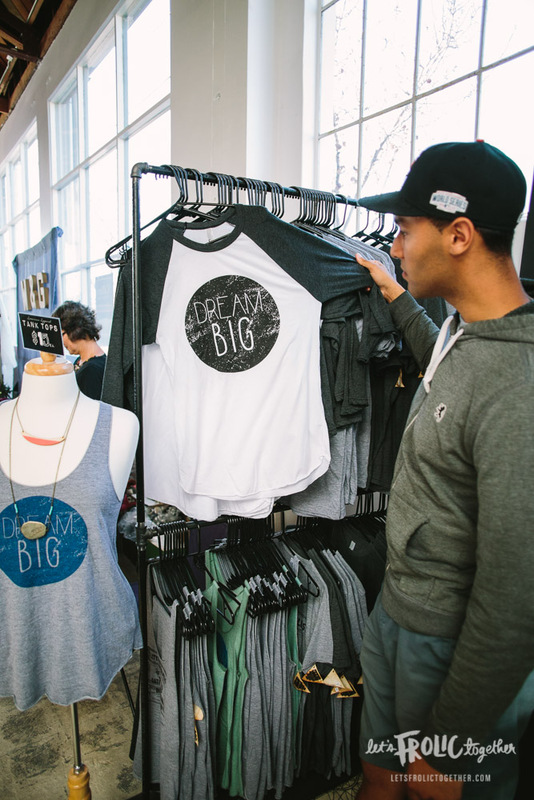 You don’t even have to get close to Jonnie Estes from Grey Theory Mill to feel her positive, energetic and creative vibes. I so enjoyed interviewing her. Her point of view on life is positive and cheerful and shines through her work. Have fun reading this interview, and stop by the shop to check out her beautiful line of jewelry and more! 1| Introduce yourself. Tell us what you do and where! Hi there! 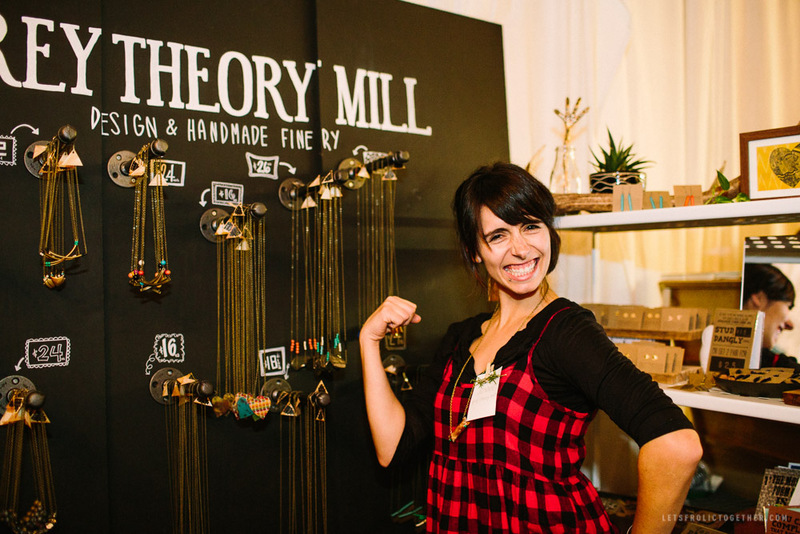 I’m Jonnie Estes and I am the maker-doer-boss lady of Grey Theory Mill, my design and handmade finery business located in San Diego, California. I have coined the term finery to encompass my line, since I have creative ADHD. 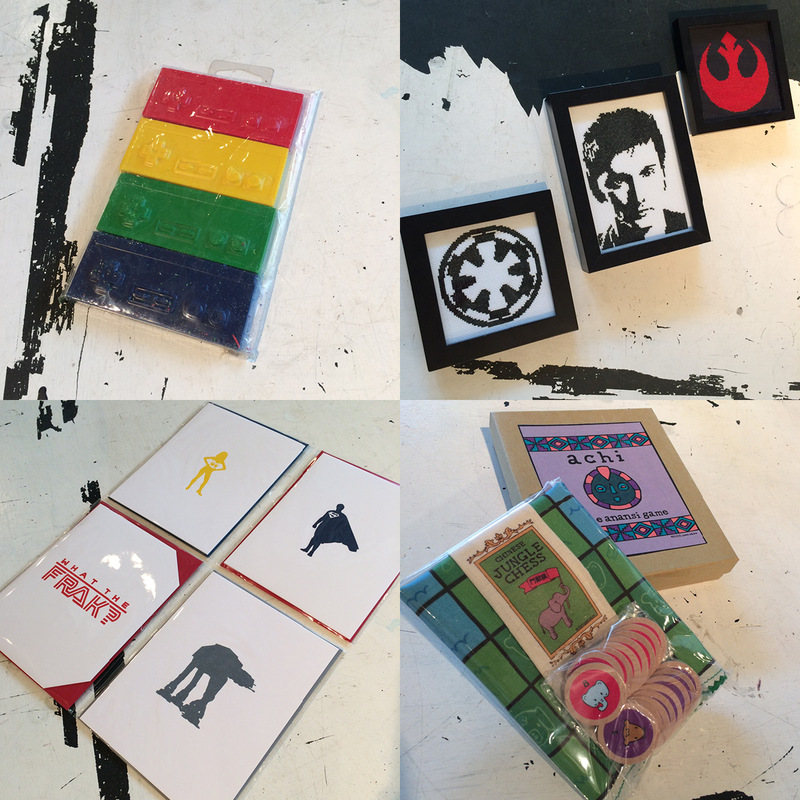 I currently offer jewelry, shirts, notebooks, and prints. 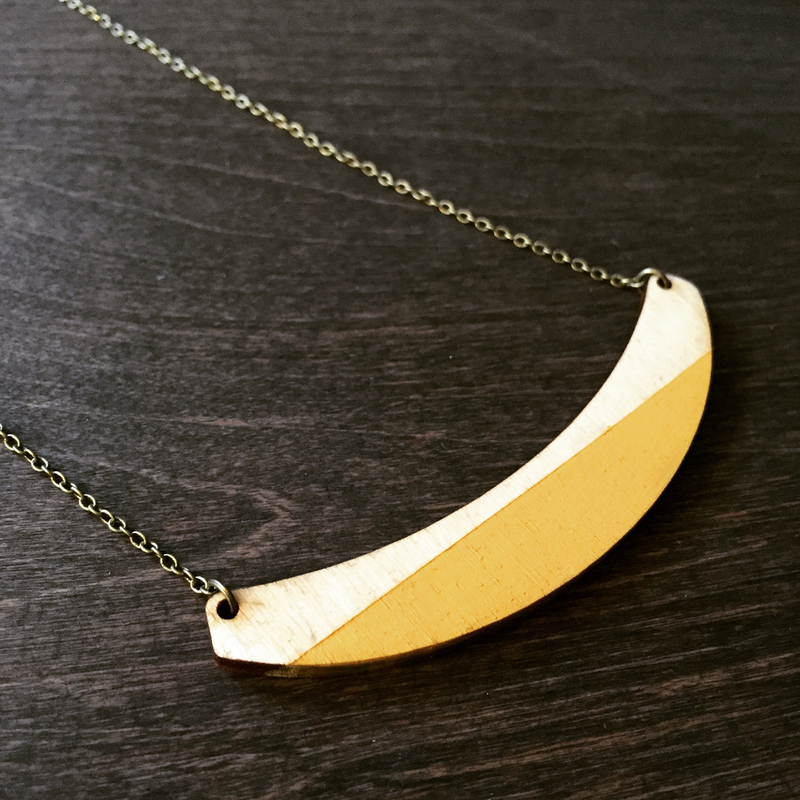 2| How/ when did you get started making jewelry? Have you always been creative? 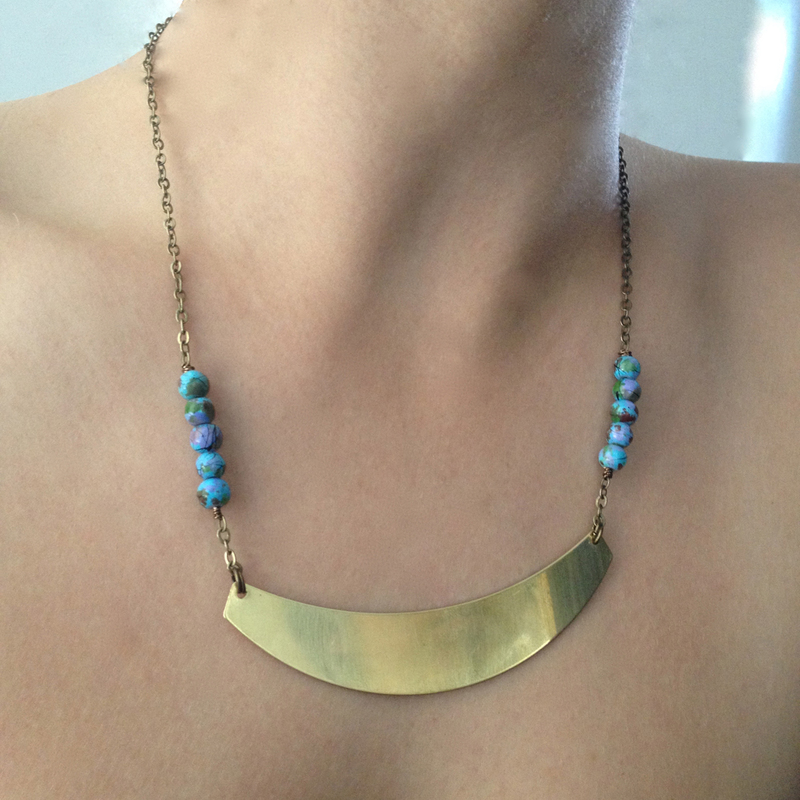 I started officially in 2010 when I was determined to open an etsy shop (full story on my website) I decided to offer/make jewelry because it was a more practical expression than fine art. I am not knocking fine art at all, I love the process and the outcome of fine art, I just didn’t like seeing all of my pieces collect dust in their portfolios. Jewelry (although a luxury) is art you can wear and use regularly versus mount on the wall and possibly forget about. 3| How would you describe your work? I would describe my work as simple, edgy, occasionally eccentric and affordable. I like to make things that I can’t find on the market and would want to wear myself. 4| Who/ what inspires you? What other artists/ makers do you admire? Ooo. Such a good, but endless question for me. I am so very inspired by human culture in general… anthropology, psychology, good books, conversations, dreams… I can also get going on some crazy thought processes that lead me through very long google searches. I have always loved the work of Tim Burton and Edward Gorey. Michel Gondry, Edvard Munch, Remidios Varos, Bjork, Sigur Ros, Lady Gaga, The Album Leaf. As for fellow makers…so many!! 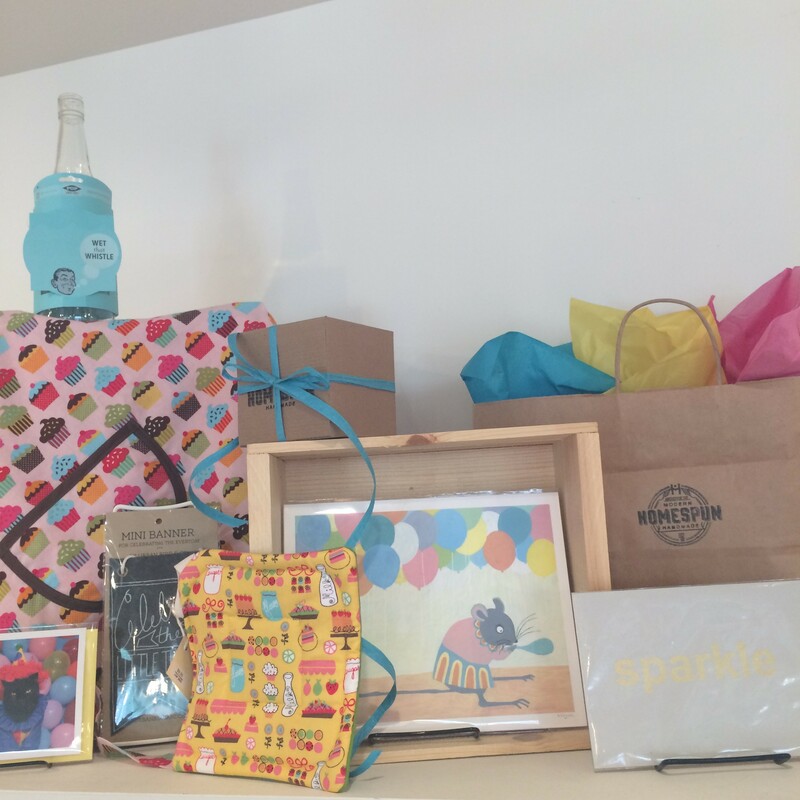 Sophia of Make Good, Jennafer of Jennafer Grace, Leah of Huckleberry Handmade, Jen of Thread & Arrow/Urban Craft Camp/Makers Arcade, Julie of Rais Case, Lindsey of Warren Tales… I could literally name off at least 35 makers who get me so excited and inspired. 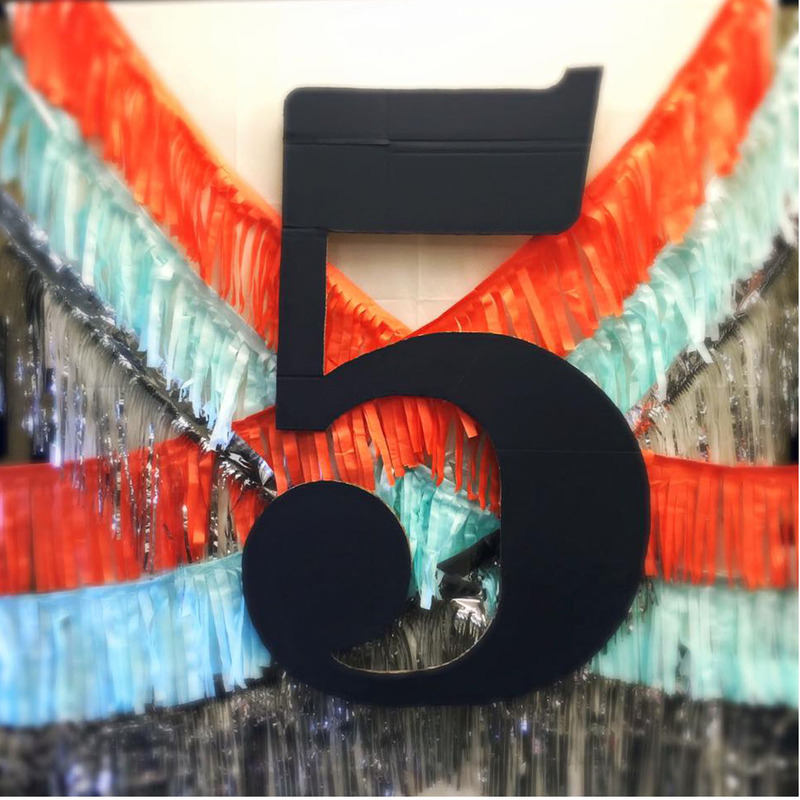 5| Describe your creative process. 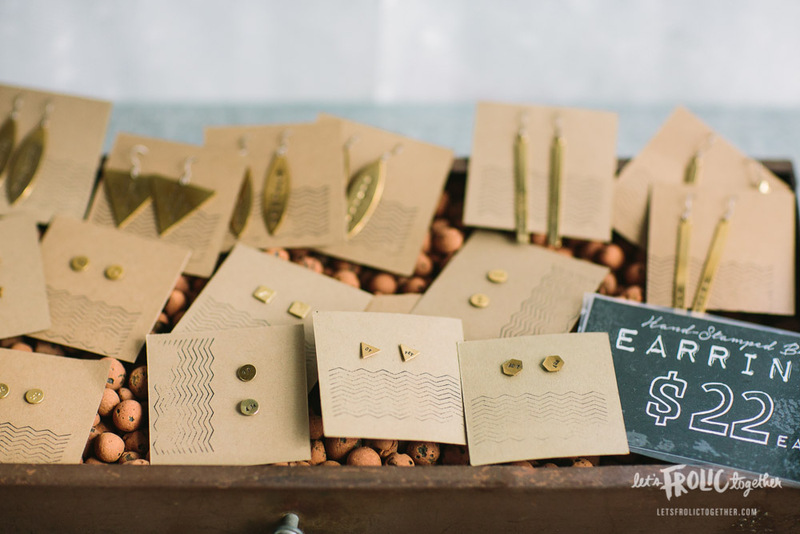 What goes in to making a piece of Grey Theory Mill jewelry? My creative process usually starts with a cup of yerba mate or some other hot beverage. My process varies for each product. For shirts I usually hand draw my designs and with prints I either hand draw or do a combination of drawing and computer work. For jewelry, I usually look at all my materials and start pairing colors and textures. Some of my designs have even happened on accident! 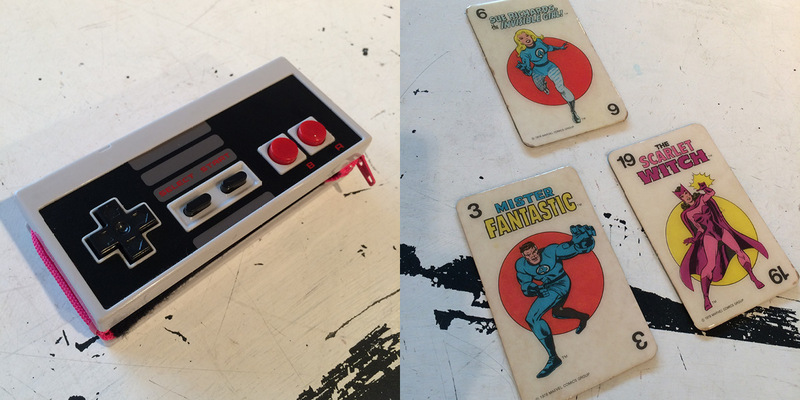 I tend to visualize in my head and make a physical attempt/prototype versus drawing it out first. Grey Theory’s jewelry is a bit diverse so the process from start to finish can look very different. I tend to do the jewelry in stages though. I’ll cut all the chain to size, pick out all the beads/brass/wood/etc, paint (if necessary), assemble, tag, then bag. It can be a very one-woman “mill” like process. 6| Describe your typical day. It varies! I have a day job at Trader Joe’s where I get to do all sorts of things, one of which is the store art. I work there 4-5 days a week and depending on the day, I may or may not do Grey Theory things after work. Tues/Wed are typically my Grey Theory days and the days aren’t very typical. Cyclical, but not typical. There are so many balls to juggle when you’re running your own small business. One day I’ll be making earrings, the next day I’ll be answering emails/etsy convos, another day I’ll be driving all around San Diego restocking shops, the next day I’ll be back to production, filling orders, designing something new, etc. Sometimes, it can be pretty overwhelming. Especially when you mix shows into the mix! I wouldn’t have it any other way though. 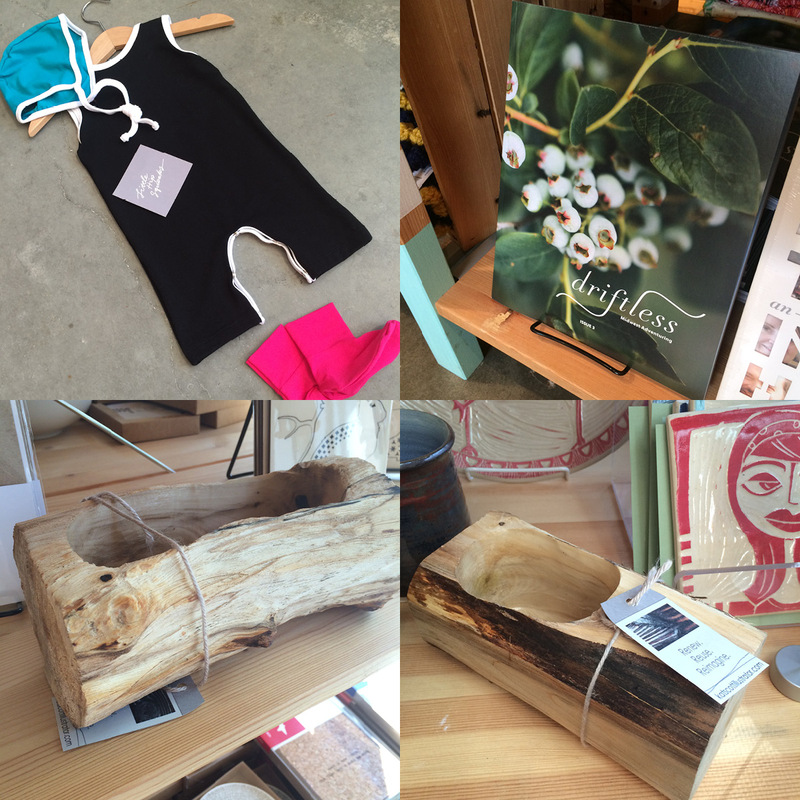 7| What makes a handmade item valuable? The story. 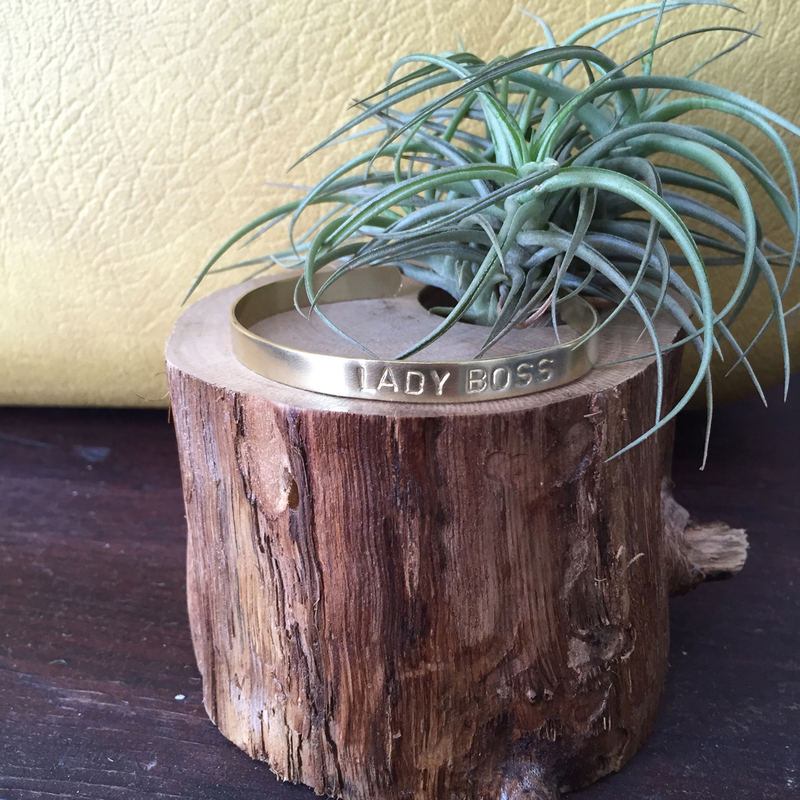 A handmade item means you’re directly supporting someone pursing their dream+passion. It usually means you’re supporting the local community as well. Handmade tends to be bit more unique too, which I really enjoy. I love having things that you can’t get from a big box store. 8| What do you wish people knew about what you do? Hmm. I think it’d just be nice to have people know that I find a lot of joy and passion in the act of making itself. I am so very, very honored and grateful that others have found my work lovely and have decided it should be apart of their lives. I guess people should also know that all my earrings are made with USA Grade-A Hypoallergenic Titanium. Titanium is one of the safest metals for sensitive ears. 9| What’s your favorite handmade item that you own? Ooo. It’s a two-way tie between my handmade bags (Rais Case and Milo & Louie) and my handmade dress by Jennafer Grace! 10| What’s the best thing about being an artist? Seeing the things in life that usually go unnoticed by everyone else. It’s like you live in a secret level. 11| What is your greatest achievement? I think I would have to say starting a creative business with a bachelors degree in psychology… yep. 12| Anything else you’d like to add? also, thanks for having me! As I mentioned last week, July 9th was the 5 year anniversary of Homespun. 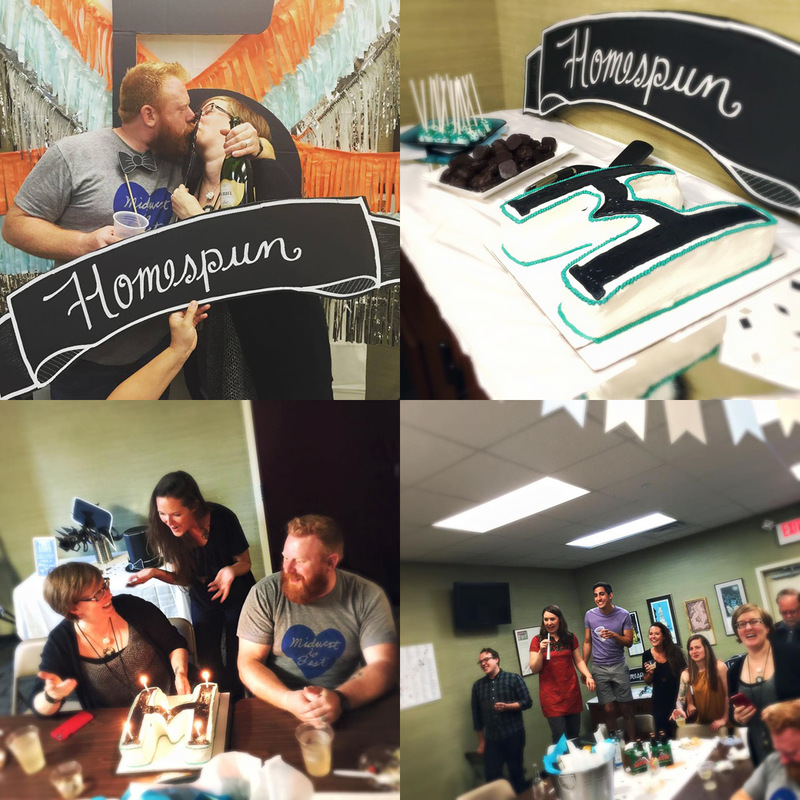 So employees past and present re-united for a rowdy celebration (who knew we were all so competitive?). Adorable mix and match sets from Little Hip Squeaks, planters by Re: Kat Scott, Issue 3 from Driftless, and Indiana coasters from Katydid. 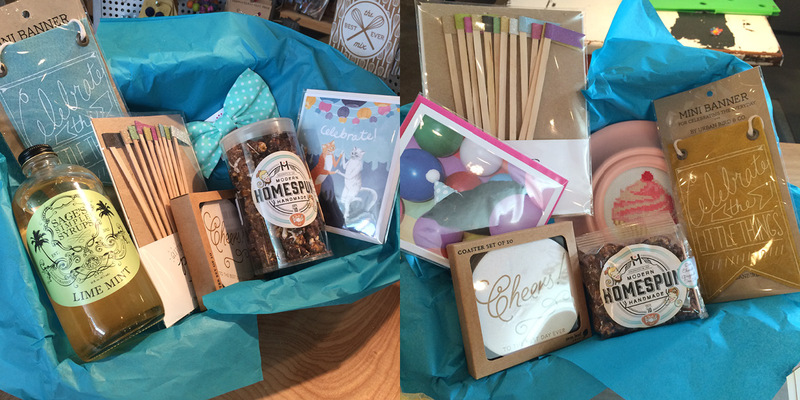 Also, the crew put together the cutest little party baskets and I couldn’t help but snap a couple shots of them. 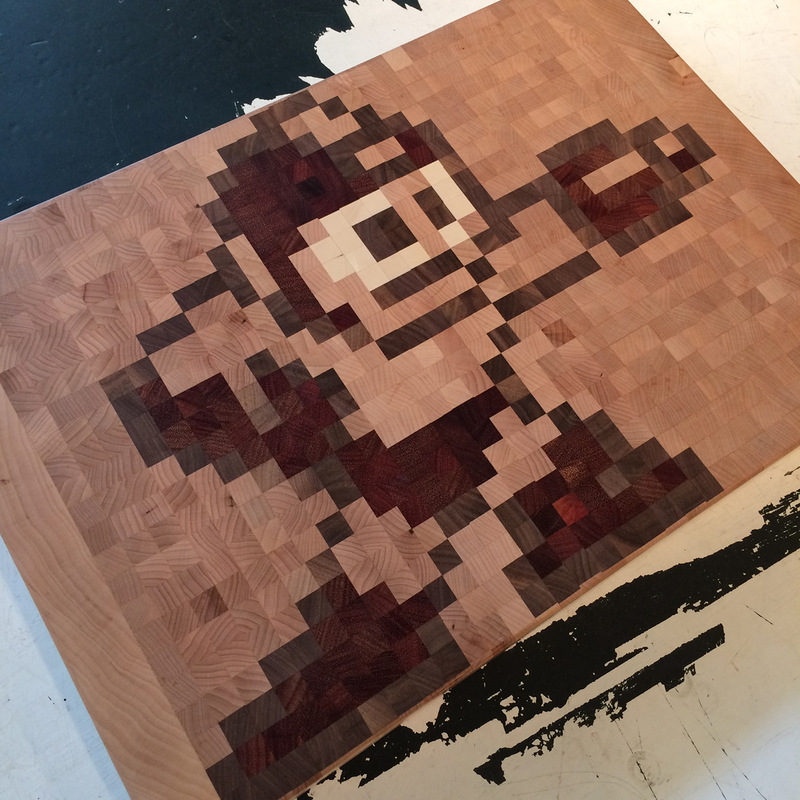 Learn to make: check out this upcoming workshop. Wire Wrapping Basics Workshop: Saturday July 18, from 4-7pm. 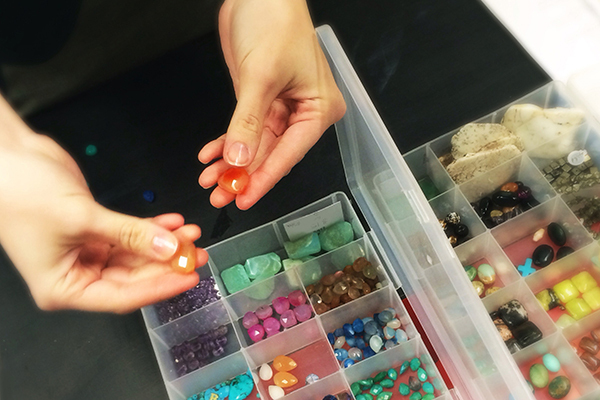 Have you ever wanted to go on a gem hunt? Well here is your chance, Rana Salame Striedinger of Salame Jewelry Designs, is opening her treasure chest of gemstones for you to peruse and select from to create your own one of a kind jewelry. Students will learn several wire wrapping and jewelry assembly techniques to create two unique items, students can choose to either make a pair of earrings and a necklace, or 2 pairs of earrings or two necklaces. Sign up here. Coming up in Indianapolis: ’cause we love Indy. Music Heritage Festival: July 17-18: Part of the Indiana Black Expo Summer Celebration. A star-studded concert lineup with a distinctive Indianapolis flavor accents an exciting weekend at the 45th Annual Indiana Black Expo! The show stars Patti LaBelle, the Isley Brothers, and special guest El DeBarge.